Pennsylvania is a “choice” no-fault state. What that means is that if you choose a no-fault coverage when purchasing your car insurance policy, if the accident occurs, you will have to file a claim under your own personal injury protection coverage in order to potentially get compensated for your medical bills and other damages you sustained. Continue reading to learn more about the deadlines and regulations surrounding traffic accidents in Pennsylvania. The first question you are faced with after a traffic accident in Philadelphia is “how long do I have to file a car accident claim?” According to the 42 Pennsylvania Code section 5524, any action to recover damages for injuries to the person, or for the death of an individual which is caused by the wrongful act or neglect, or unlawful violence or negligence of another, must be brought and filled within two years. 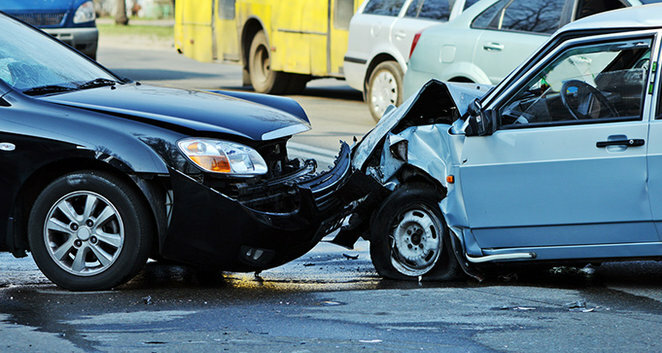 So if you received an injury after a car accident, you have 2 years of time to file a claim and collect your settlement. Missing the deadline will leave you without a settlement and the ability to file a claim. Speak with a Car Accident Attorneys in Philadelphia following an accident and learn how you can maximize your odds of obtaining the highest settlement possible. If any of all of the above conditions are met, and you fail to report an injury, besides having little to no chance of obtaining the settlement for your damages, you may end up losing your driver’s license and end up paying additional fees and charges. Depending on the severity of the case, it may take anywhere between 3 to12 months to obtain the settlement for your damages. Pennsylvania has an exception in cases of “serious injury”, which is basically an accident that resulted in death, impairment (total or partial) and serious body disfigurement. If you were involved in such an accident, you should immediately contact Philadelphia Car Accident Attorneys and should file a claim with the “serious injury” rule. Rest assured that your car accident settlement will award you for both your economic and noneconomic damages, regardless of the insurance policy method that you previously chose. On top of that, your claim will be processed faster than usual. Feel free to schedule a free consultation with one of available attorneys and learn more about your legal rights and how you can file a claim and get to the end of the process in a timely manner.